Over the past month, I had the opportunity to beat up and review a pair of hunting boots by Weinbrenner Shoe Company: the Wood N’ Stream MANIAC boot – 8” Mossy Oak® Break Up Infinity, (product #2102). Out of the box it appeared to be a well-crafted boot. It’s designed with a mix of synthetic and leather uppers with an EVA midsole and a slip and chemical resistant outsole. I typically wear a boot size of 10.5, but during middle-of-the-winter hunts, I like to wear a thick sock. Since I’d be pairing the boot with an expedition weight sock, I requested a larger size of 11. After trying it on, I determined that it was going to be to small to wear with that sock: I had to wear a hiking weight sock. With the hiking sock it felt to be of the appropriate size. I would say these boots run about a ½ size small. 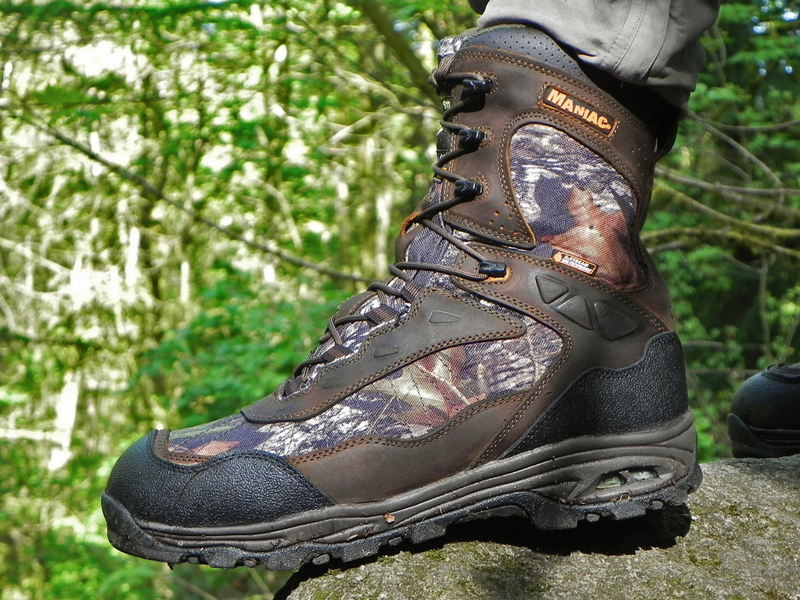 The MANIAC boot is advertised as a light-weight hunting boot. 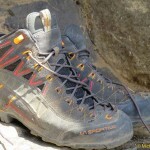 The most notable design decision contributing to the boot’s light weight is the lack of a shank. I found the boots quite comfortable to walk in, much like a cross-trainer. However, after loading up a backpack and carrying some weight, I felt like I was wearing a shoe rather than a boot. I also noted that there was not much ankle support. 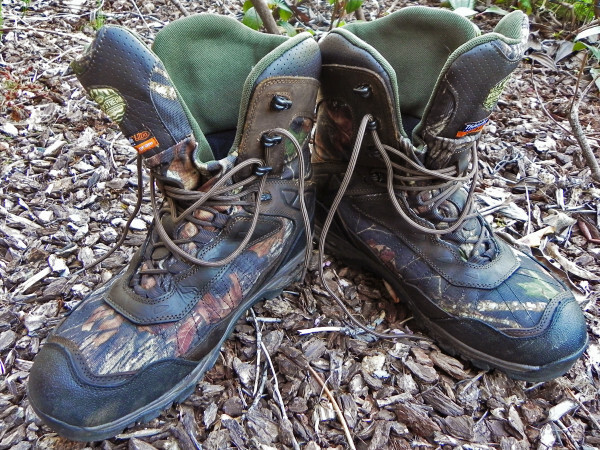 I would describe the overall feel of the boots as pillowy; they felt rather big and puffy. Although I wouldn’t necessarily consider this a hindrance, it just didn’t give me that boot feel. 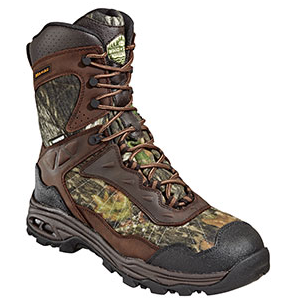 A winter hunting boot needs to keep my feet warm, dry, generally protected and it needs to give me a solid base for moving around in rough terrain. The MANIACs have 800 grams of thinsulate and are reasonably warm. I walked and stood in the snow for hours without much cold creeping in. They breathed well, minimizing interior moisture build-up. 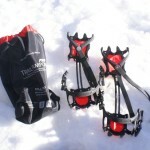 Tramping through snow, I noticed a little build up of wetness on my upper ankles. 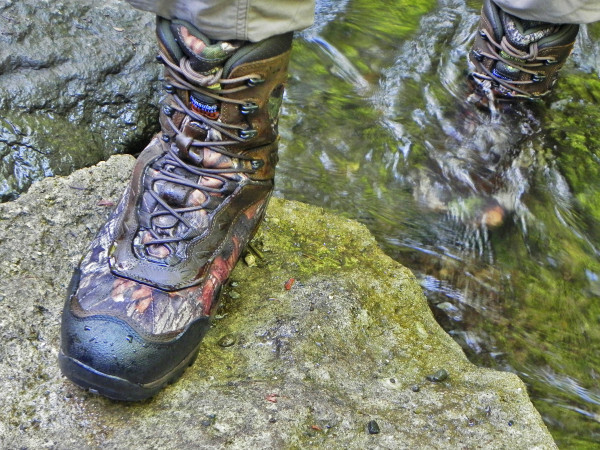 Then I gave them my waterproof test: I sat on a rock with my feet in a stream, boots soaking in the water. While sitting there, my feet stayed dry – success – until I decide to take a walk up stream. Once the water reached the third speed lace eyelet, water started soaking in. I realized this was due to the fact that the boot’s tongue is only sown up to the third eyelet (counting from top down). 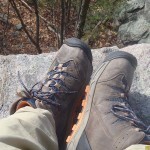 Hiking around, the boots offered good traction on wet logs and rocks as well as on the sides of hills and moving through mud. The boots have a scent lock material – Scentmask by Cosmo Fabric. This gives the buyer the option to combine the boots with other scent masking clothing. In conclusion, the boots do what they are advertised to do, and they are loaded with quality features. The boots are warm and dry. They are well-made with cleanly sown seems and well cut pieces. The boots’ biggest selling point is the fact that they’re lightweight. I’m of a mixed mind as to whether I would purchase them. 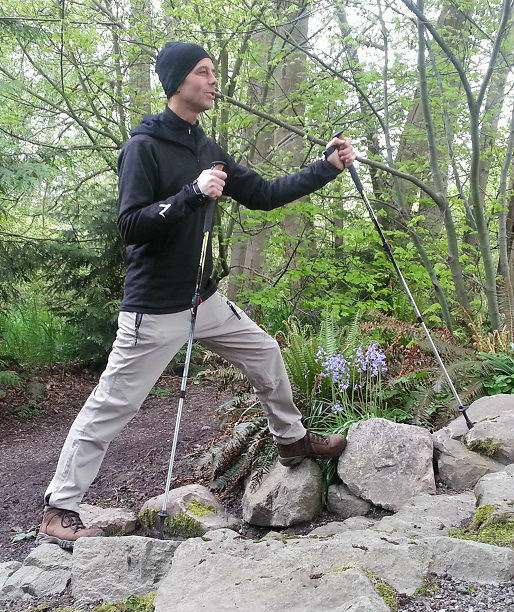 I like the lightness, as it helps me move quieter with less fatigue, but I also like a boot to feel like a boot – which means I’d prefer a bit more stability.